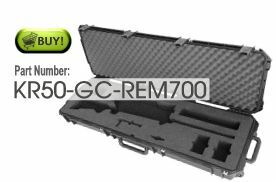 Remington 700 Gun Case holds one rifle with removable plugs for scope and bipod and cutouts for bolt, sling, and ammo. Airtight & watertight with PRV valve. Padlockable. Made in USA.